This kid sure is teaching me a lot. I would LOVE to say that parenting him is so easy, blah blah blah. But it is not all fun and games. I'm not sure if it is because he is my first, or because my mom's curse has come true and I did end up with a child just like me. But with it all said and done, he is my world, and there is nothing I wouldn't do for him. He is the biggest sweetheart I have ever known, and he has the strongest will I have ever known. I some times complain about Grant on facebook, probably something I shouldn't do, but I have. I received a message from one of my aunts, who probably knows what it is like to have a free spirited little boy. She talked about him in a tree sense. I want him to grow tall and strong. I don't want to break him or his spirit. And as my Aunt put it, "I like to think of children as trees, they are defined, oak, willow what have you, it is our responsibility as their parent to help that tree grow straight and tall, develop into the tree they are destined to become". I love my Grant, with every piece of me. One of my biggest challenges with him is that he is so so so busy. About a month ago he got sick and I slept with him for a few nights. I quickly noticed that he would stop breathing for a few seconds and then wake up. Hmmm, I know that's not normal. Grant also snores like CRAZY, and can soak a pillow in drool. I also started noticing that when he would nap (which is never) he looked like he was using everything to get air in, and he would be propped up. 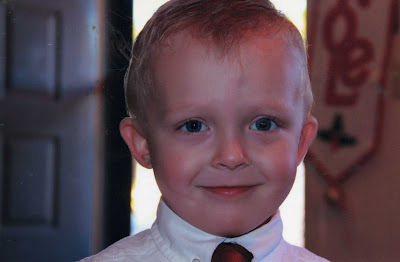 After my cousin, Alison, started posting about her son and him having his tonsils out, I started to wonder about Grant and if some of his issues were related to that. Two weeks ago, I was at church and heard a group of moms talking about some of the same issues Grant is having, and sure enough it was due to their tonsils. Then came paranoia. Could Grant have issues with is tonsils?? I didn't want to go to his primary dr, and so I did research and found and ENT in Tucson. Mark wasn't giving me feed back, and so I went a head and made the appointment. As it got closer, I started freaking out. Was I just being paranoid? What if Grant did have to have his out... Could I make him go through with it?? It's a big deal to me, I can't replace my Grant. On Tuesday, Grant and I went to Tucson to see this ENT. The office was so nice, and the staff was friendly. 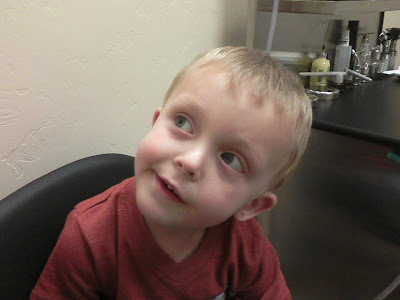 His appointment wasn't until 2, but we were there early and they got us in right away. The Doctor came in and talked to Grant and then examined him. Sure enough, he was at a 3 out of 4 in size for tonsils, and he said they would need to come out. But just to be sure, and to calm my nerves, I called his primary dr and got him in right away. So yesterday we went to see his primary dr. He said they were medium. I then told him about going to the ENT, and to my surprise he had heard of this dr and had nothing but great things to say. When he was working in Tucson, he sent his patients to him. Uh, I randomly picked this ENT, and yet my dr down here knew him. Awesome! He advised me to go ahead with the surgery and to listen to the ENT. So I'm a little freaked out. On Tuesday night I cried for probably an hour or two. I had no idea what to do. I don't want anything to happen to Grant. But after praying long and hard, I just felt that I would know what to do and it would be ok.
My poor little guy has to have surgery. As a concerned parent, I'm nervous, but I want the best for him. The ENT assured me that it would help Grant. Some of his actions/busy body was because he is tired. When a child is tired, they tend to listen less and become a little more aggressive. It can also affect them in school, and create behavior problems. If this surgery can help Grant sleep better, some of the problems can be helped and also prevented in the future. So this is my LONG post about my Grant. it is definitely scary deciding upon surgery for a child. When Kyle was four we discovered that he was tongue tied. The ENT told us the pros and cons about surgery, and then we had to decide. it was scary cause on of the bad things could be that he might never talk. but without it he would have problems talking. We opted for the surgery, and it was tough, but we are grateful it was successful. I'm grateful for prayer, and the peace and comfort that we can receive. You are a good mom. Grant will do awesome with the surgery and I bet he won't ever remember it. Good luck and keep us posted on everything!